The pressure is on for the Maroons as they head into their last few conference games, starting with a weekend doubleheader against Case Western and Rochester. The pressure is on for the Maroons as they head into their last few conference games. The South Siders (10–5–0, 2–2–0) have had a strong season, but the importance of these next games can’t be overstated. The team has grown throughout the season and is focused on the upcoming matches. In order to advance to the NCAA tournament, the Maroons must either win the UAA or claim an at-large bid. Chicago’s next three games are all conference games that will determine whether the South Siders advance. 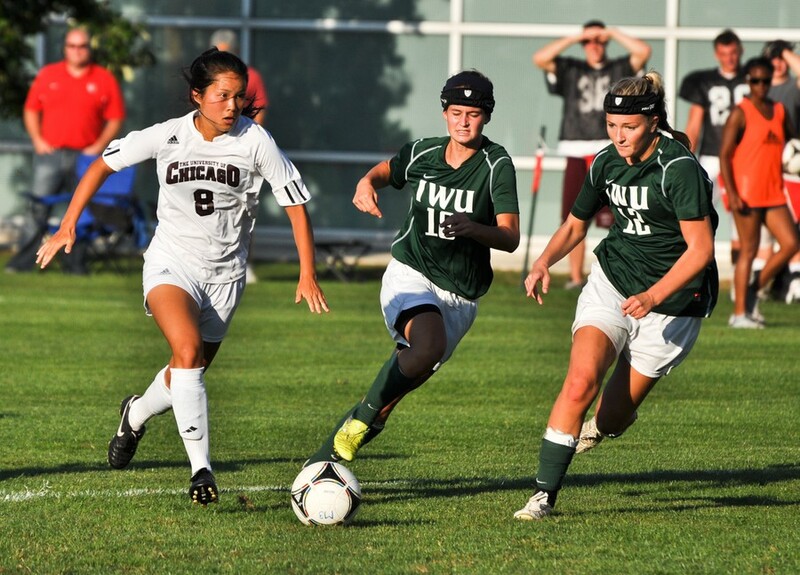 The Maroons will be led by fourth-year captain and UAA Athlete of the Week Brigette Kragie, along with second-year forward Sara Kwan. Chicago will face Case (7–4–4, 1–2–1) first. The Spartans have a comparable record to the Maroons and will also be looking to secure a berth in the NCAAs. Case will be headed by second-year Jessica Sabers, third-year Leah Levey, and third-year Rachel Bourque. The Maroons will play the Spartans at Case today at 5 p.m. EDT. On Sunday, Chicago will take on Rochester (3–10–1, 0–4–0) in another away game. The two teams will face off at Fauver Stadium on Sunday at 10 a.m. EDT. While the Maroons will consider what the Spartans and Yellowjackets will have in their own game plans, they will mostly be focused on playing their own game. As the season wraps up, it’s crunch time for the South Siders. Their performance against Case and Rochester will help determine whether they go on to the NCAAs or have to hang up their cleats for this year.